The LARA DIO application is designed to control LARA devices that excel in their dimensions and functions. LARA is unparalleled and primarily an internet radio player for listening to any station in the world, without the unpleasant interference of classic FM tuners. Thanks to the design of the device, LARA can also be used in every room in the house (children's or living rooms, bedrooms, kitchens, bathrooms), and also in waiting rooms, wellness and other areas. With LARA DIO, you can control all LARS from a single controller (Android smartphone), with no limit to the maximum number of devices controlled. 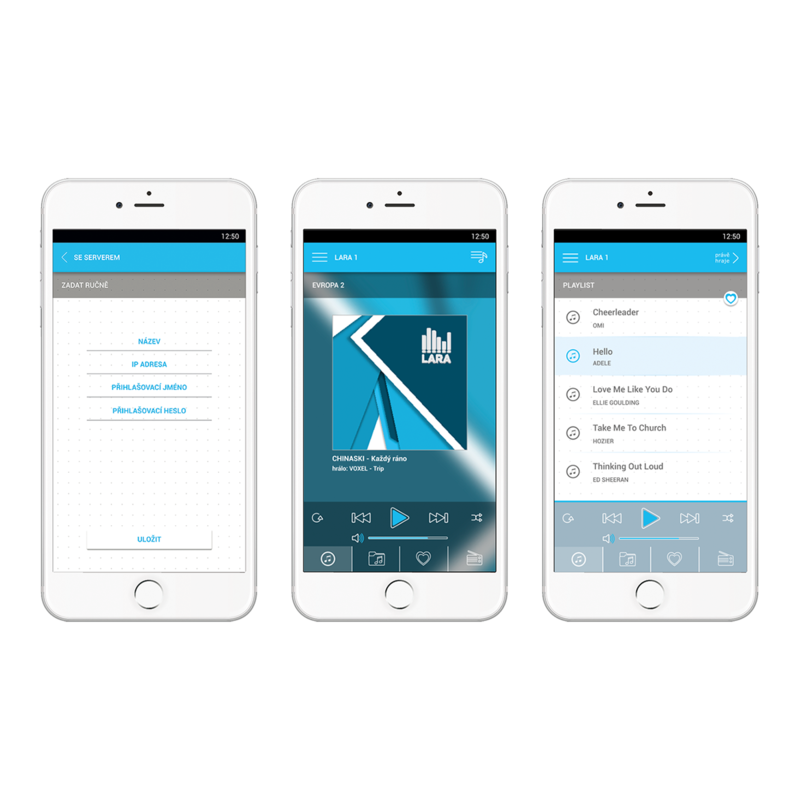 Application control is very intuitive; the user can easily store their own favourite stations, which are available at any time. The LARA Radio can be purchased directly from the manufacturer here and you can choose from a wide range of different colour schemes of the cover and frames. The uniqueness of LARA lies in its technical design. LARA is directly equipped with an integrated 2x10W / 8Ω power amplifier and offers an excellent solution combining simple installation and pleasant listening to music, with the choice of a wide range of speakers. LARA also offers the possibility to connect an external amplifier via a line output. LARA Intercom is also equipped with LARA Radio and is able to communicate with the door communicator - the voice and reception of the camera image. LARA Intercom also allows communication between multiple devices, which thus performs the function of a home intercom. These features can be used separately, by purchasing LARA Radio or LARA Intercom, and is also part of the complete iNELS smart home system.